Finance Minister Malusi Gigaba gave a mid-term budget address in Parliament on Wednesday, 25 October 2017. The statement painted a very grim picture of the future of South Africa’s economic state. Economic growth has slowed down and is expected to be lowered to 0.7% this year, leading to “South Africa confronting a low-growth trap”, according to the statement. In February 2017, it was predicted that economic growth would reach 1.3%, however, it is higher than the International Monetary Fund’s prediction of 0.5%. The statement also presented a higher tax revenue shortfall than what was expected in the 2017/18 budget speech by former Finance Minister Pravin Gordhan. The shortfall was higher than the R40-R50bn that economists predicted. According to the National Treasury, this makes it the largest downward revision since the recession back in 2009. This revenue shortfall may result in a substantial debt risk hike, even though debt repayment costs are already the biggest budget item, taking up about 15% thereof. Debt service costs are the fastest rising category of the budget, coming in at 11% per year. The gross debt-to-GDP (Gross Domestic Product) outlook has worsened from February’s prediction to the revised figure of 60.8%. Gross national debt is expected to exceed 60% of the GDP by 2022, as debt service costs will reach 15% of the budget revenue by 2020/21. Gigaba mentioned that there is “little space for tax increases in the current environment”. The speech neglected to mention tax hikes, but stated that “tax hikes could be counterproductive.” However, it is expected that taxes will increase in February 2018. “Tax buoyancy – the expansion of revenue associated with economic growth, has fallen significantly in the past two years”. This could either refer to a non-effective tax collection process or unwilling taxpayers. Gigaba did not elaborate. 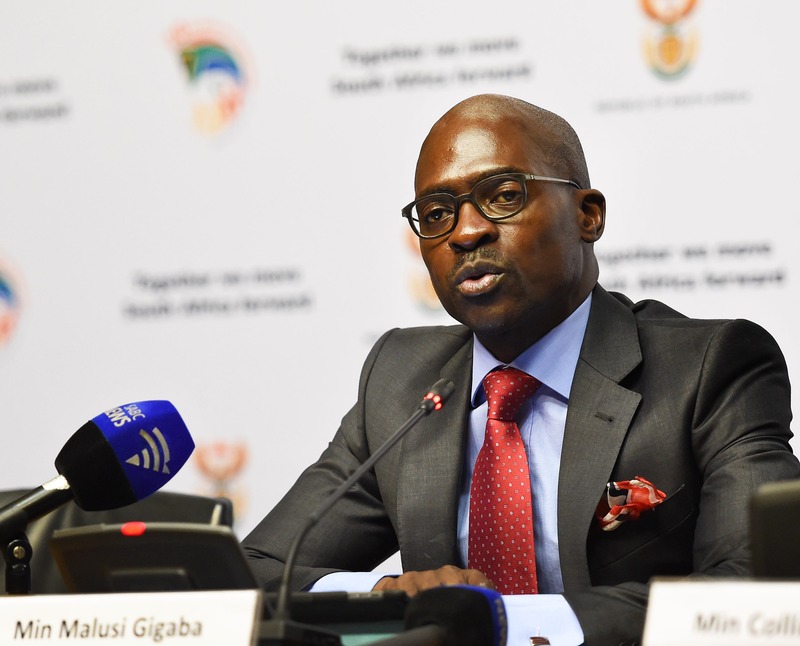 Gigaba noted that he is engaging with the commissioner of SARS “on the recommendations made in August by the tax ombud, and to take concrete and practical steps to help improve taxpayer confidence (on delays in refunds)”. State Owned Enterprises (SOE) lending has increased to R445bn and their average profitability dropped from 7.5% in 2011/12 to 0.2% in 2016/17, increasing debt costs substantially. South African Airways (SAA) recapitalisation and the South African Post Office (SAPO) increased the expenditure ceiling by R3.9bn. Government’s spending priorities are learning and culture (this includes post-school education and training), health and community development. Government’s plans are to prioritise service delivery to low-income households, although resources to support these plans are severely limited. Extended expenditure priorities include job creation and small business development, youth development, infrastructure expansion and maintenance, land reform and agricultural development, social security, education and skills, an integrated plan to fight crime, advanced national interest in the Southern African Development Community (SADC), and participation in BRICS (Brazil, Russia, India, China and South Africa) bloc, as well as the Indian Ocean Rim Association. Many feel that this speech did not address new ways to stimulate economic growth in South Africa or cut government expenses where necessary, even though the speech clearly pointed out governments predicament with the state of South Africa’s economy. We can only hope that the budget speech in February 2018 will paint a rosier picture. As the points raised in Gigaba’s mid-term budget speech, the risk of further downgrading credit ratings are looming, which will cause for South African consumers to suffer even more. These factors affect all of us and circumstances are not looking like it is going to get better anytime soon. Debt is a major problem for South Africans and inherently for the South African economy, as a whole. If you feel like your debt is weighing you down, with little to no money left after debt repayments, contact National Debt Advisors (NDA) today for debt advice from qualified debt counsellors in South Africa. Let us help you lead a debt free life!